If you are interested in moving to the Delray Beach area you might be fascinated to learn more about a gated community known as Mizner's Preserve. Behind this gorgeous gated entrance are 170 estate homes occupying an area known as "Millionaire's Mile". If you can picture yourself in a beautifully appointed area where privacy and beauty are valued, you might just find your dream home located in Mizner's Preserve. A leading developer, Sterling Communities, was essential in putting together Mizner's Preserve in 2001. The purpose was to create a luxurious, quiet getaway and safe haven for the residents inside. Some of the biggest benefits of living in Mizner's Preserve include vibrant grounds, winding roads and lush landscaping. Visting this area just once will give you a good idea of what you can expect if you choose to live here, whether it's gorgeous scenery or homes that are right up your alley. There is so much to see and do in the surrounding area that you get the best of both worlds- having a private home to escape to and being able to enjoy all that Boca has to offer when you want it. Recognizing the need for this balance, home builders have created communities like Mizner's Preserve to meet the demand. The typical homes in this area are between 2,800 sq. ft. to more than 5,000 sq. ft. The typical price for a home in Mizner's Preserve is between $500,000 and $1,000,000. The exterior landscaping is one of the biggest advantages of living in an area like Mizner's Preserve. You will likely find beautifully appointed gardens and landscaping for any home that you consider in this area. In addition to having your own private getaway in your stunning home with gorgeous exterior landscaping, you will also have access to a highly rated country club community without the hassle of the membership or equity fees. One of the biggest benefits of living in this community is that you'll be surrounded by like-minded buyers. All of the residents of this area love to appreciate Florida's weather and landscaping potential, so you'll feel right at home driving up to your house with a stunning exterior and an interior that may even surpass the outside beauty. Buyers come here when they are looking for a home that meets their taste and location requirements, and this is why Mizner's Preserve has become one of the most sought-after neighborhoods across Boca Raton and Delray. You'll find other individuals who share your taste and values, making it pleasant to return home after any kind of trip. With a 24-hour manned entrance at the gate, state-of-the-art facilities, stunning views and gardening located throughout the property, lighted tennis courts, playgrounds, a huge swimming pool and a high quality fitness center, there is no doubt that you will capitalize on all of the entertainment opportunities available with Mizner's Preserve. To top it all off, Mizner's Preserve is located in very close proximity to I-95 as well as downtown Delray Beach and Boca Raton. 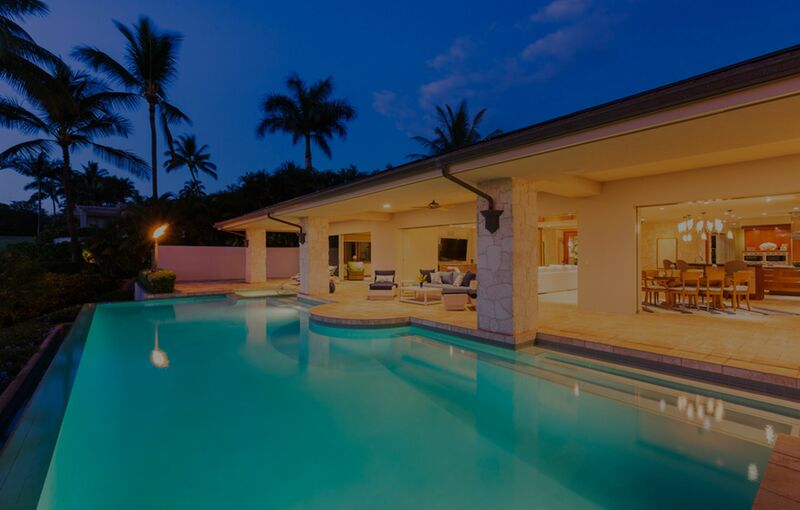 No matter what you are looking for in your next home purchase, you can capitalize on all the amenities of being near Delray Beach and Boca Raton while also having a quiet haven for your own relaxation. The individuals who opt to live in this area frequently favor privacy and take advantage of all of the amazing recreational opportunities that Florida has to offer. If you've been looking for the perfect place to find your next luxury home, Mizner's Preserve is an obvious choice. An individual who loves the quiet life as well as all of the stunning facilities that Mizner's Preserve has to offer will feel right at home in any of the gorgeous homes located throughout this area. Contact a real estate agent to learn more about how you can begin searching for your dream home in this fabulous area. You might realize that you have found your forever home when you step inside Mizner's Preserve and spot a home for sale. It's likely that you might even start picturing yourself here as soon as possible. If you're intrigued, set aside time to accomplish your visit soon! On this page you can find all the current listings avalible in the Mizner's Preserve Community. If you need more information, have any questions, or are intretesd in homes that are for sale, contact the Chance Realty team today.